Repacked Sally Hansen Mixed Nail Polish shelf pulls in 400ct boxes. Included are the Sally Hansen Named Smooth and Perfect, Miracle Nail Growth, Sally Salon Nail, Sally Nail Insta Dry, Xtreme, and more. This Lot includes all the styles under the umbrella of the Sally Hansen line including Smooth and Perfect, Miracle Nail Growth, Sally Salon Nail, Sally Nail Insta Dry, Xtreme, and more. with various colors and themed designs boasts to Make this a great mixed lot and a must have for cosmetic buyers. Items come both carded & loose and all are retail-ready. A small percentage of our Sally Hansen wholesale Line may have retail stickers. Our Sally Hansen lots have a wide assortment of colors and shades, large quantities are available call for further details. we are always receiving new closeout Sally Hansen items to add. 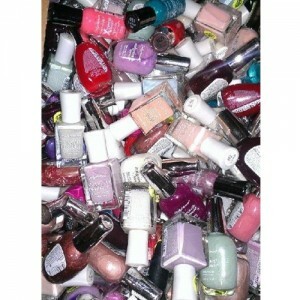 All Wholesale Sally Hansen items are overstock and shelf-pulled cosmetics.